Do you have 10 minutes? 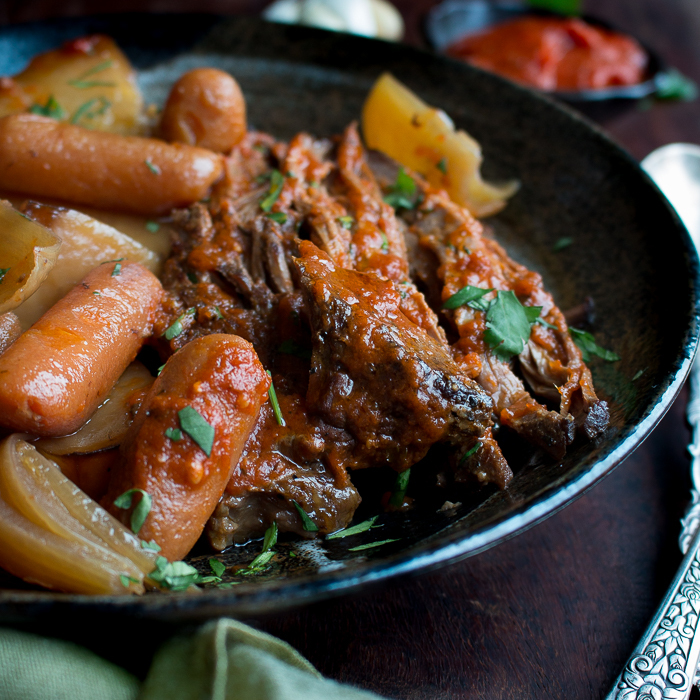 Super, then you can have this delicious crazy easy Italian Slow Cooker Pot Roast dinner on the table any night of the week. It is a complete meal with roast beef, carrots, potatoes and onions. Served with a little glass of red wine, a delicious feast. You are just going to love this Crazy Easy Italian Slow Cooker Pot Roast as it just melts in your mouth. The flavors of the wine, onions and tomato sauce and seasonings have been mingling for 8 beautiful hours whilst we worked. 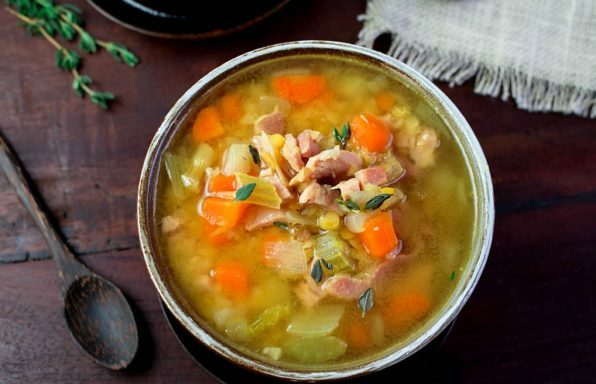 We love this throw it in the slow cooker and set on low and forget about it meal. How about you? It simply cannot get any easier to throw together. 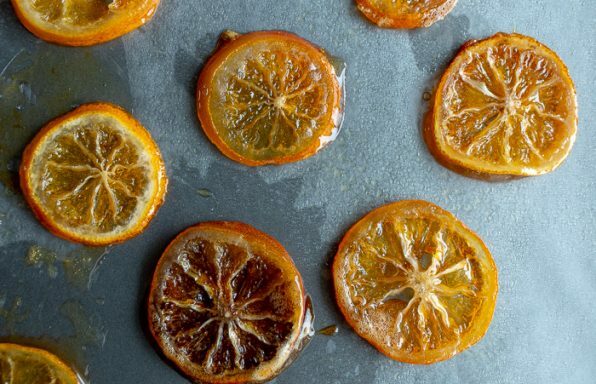 You might have everything in your pantry right now. It is simply a dump and go dish before a busy work day or even a slow cooked Sunday supper delicious enough for guests. 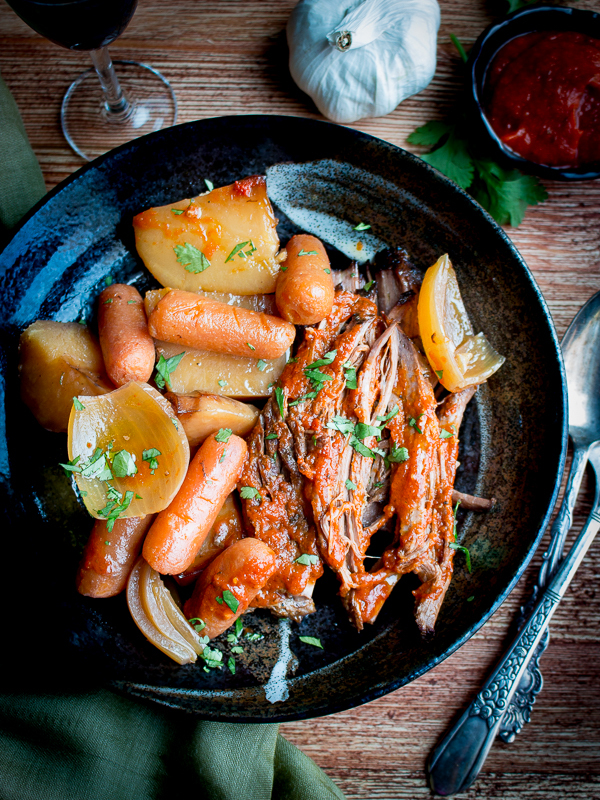 We love slow cooked meals as they are super tender and delicious and perfect for this cool weather we are having. Be sure to check out our post for 55 MUST TRY Cozy Crockpot Slow Cooker Instant Pot Recipes are life changing, time saving, healthy and mouthwatering. 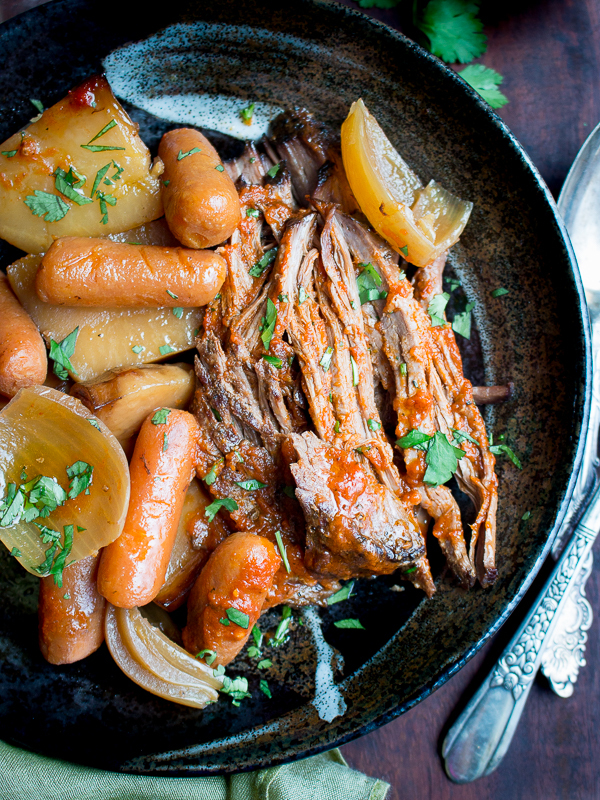 We might just have to add this Crazy Easy Italian Slow Cooker Pot Roast recipe to the list. We kept this recipe crazy easy stupid simple because our precious time is gone every day. We have a honey do list so long and it keeps getting longer. So, for us, every minute is precious. We used a little jarred tomato sauce, dried Italian seasoning, McCormick Steak seasoning and even the precut prewashed and peeled carrots to make this recipe a snap. The pinot wine was already corked. A little wine for the chef at 0700 am and little for the dish. That is how we are rolling this week. We love doing a quick sear on our beef roast on all sides before adding it to the slow cooker. It seals in the juices and we love that beautiful golden brown crust. Next, we add whatever wine we are drinking the day to deglaze the pan and then get all those delicious bits of flavor off the bottom of the pan. Then we add those delicious juices to the slow cooker over the beef. 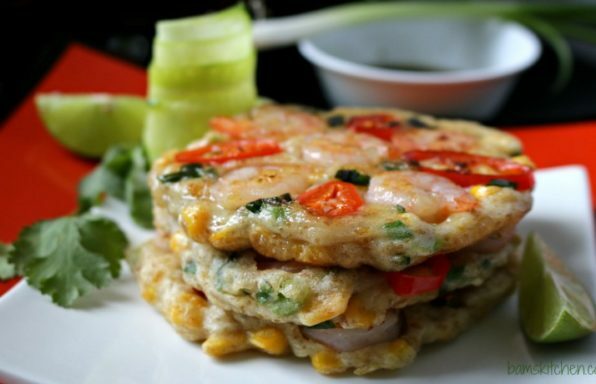 That is the only work of this dish. Less than 5 minutes. Really. 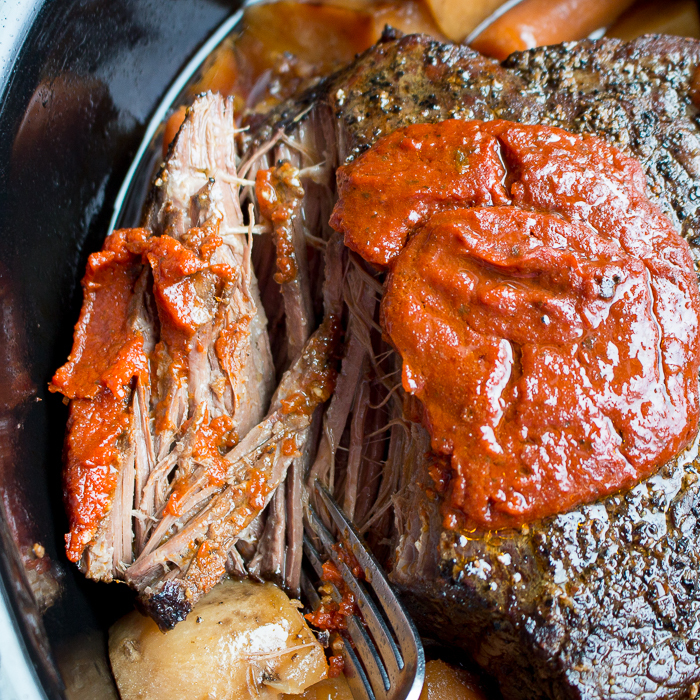 Searing your beef is not a requirement for this Crazy Easy Italian Slow Cooker Pot Roast recipe. You could totally skip this step if you are running late for work. If you are going to crack out the slowcooker/crockpot you might as well cook enough for 2-3 days and have delicious left overs. You can also make the left overs into a delicious beef minestrone soup and add extra vegetables and one day make beef French dip sandwiches. 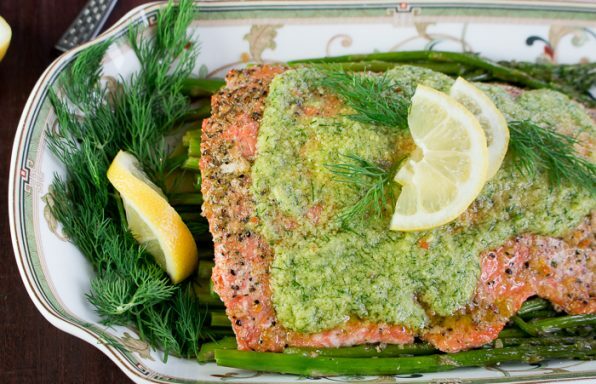 We are all about meal planning and minimizing our time in the kitchen. 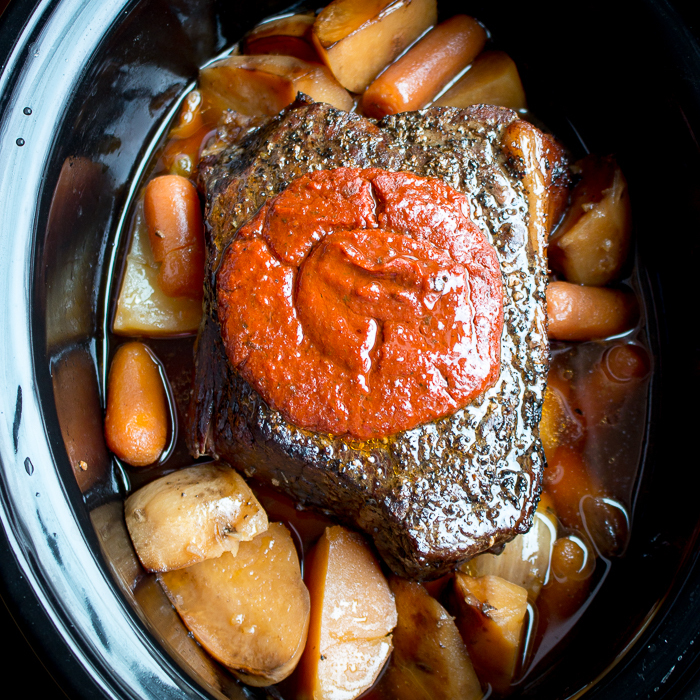 We cooked this Crazy Easy Italian Slow Cooker Pot Roast overnight so that the next day we could get some photos BEFORE the sun sets. Lately the sun starts to go down somewhere between 2 to 3pm, isn’t that crazy???. Winter is so cold and depressing and that is exactly why you need a cozy dish like this to bring you comfort. 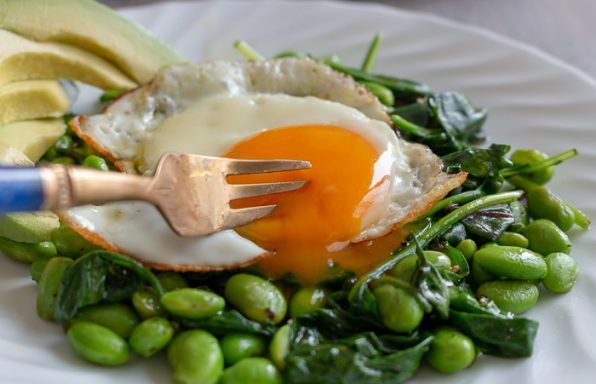 If you can just squeeze 10 minutes into your morning routine you can have a beautiful dinner tonight. 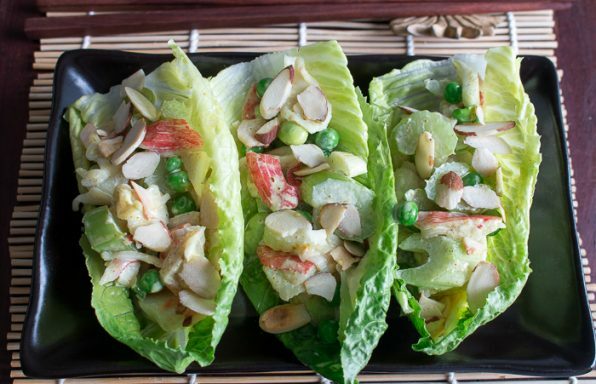 Just pop it the slow cooker before you leave in the morning and ta da…#dinnerisserved . A little caution regarding slow cookers/crock pots and instant pots. Personally, we like to take an extra precautionary measure and set the slow cooker on the actual stove top while it is cooking. The slow cooker can get hot on the bottom but setting it on the stovetop while it is cooking and leaving for work for 8 or 10 hours it has never been a problem. 1Season your boneless top round beef roast with steak seasoning on all sides. Add olive oil to pan and over medium high heat sear steak on all sides and edges. Remove boneless top round beef roast from pan and place in slow cooker. Don’t wash your pan. 2In the pan that just seared your beef in , turn the heat on to medium and add the red wine and deglaze the pan and scraping off the tasty bits off the bottom of the pan and then transfer the red wine deglaze to the slow cooker. 3Add carrots, onion, potato, tomato sauce, Italian seasoning, garlic powder and salt and pepper to taste to your slow cooker. Place your lid on your slow cooker. Cook on low for about 8 hours or on high for about 4 hours or until your beef is fork pull apart tender. 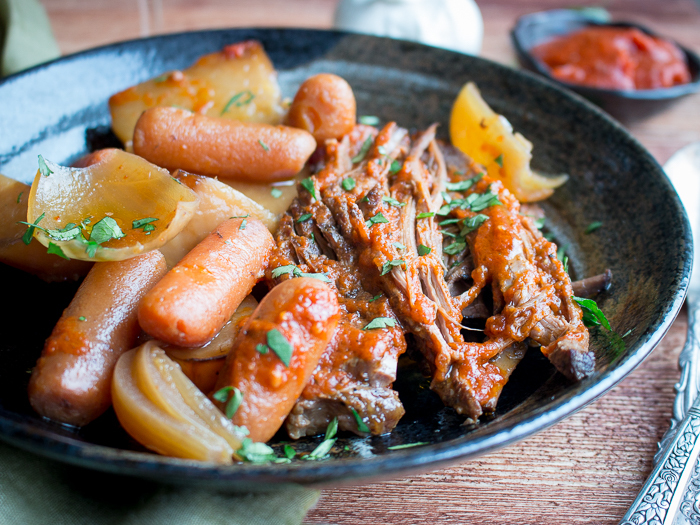 4Remove your lid from the slowcooker and pull the beef apart gently with 2 forks and serve with carrots, onion and potatoes and that delicious tomato wine sauce drizzled on top. Enjoy!